If the water level rises to 170 m on Thursday, one of the shutters will be opened and 82 cumecs water will be released. 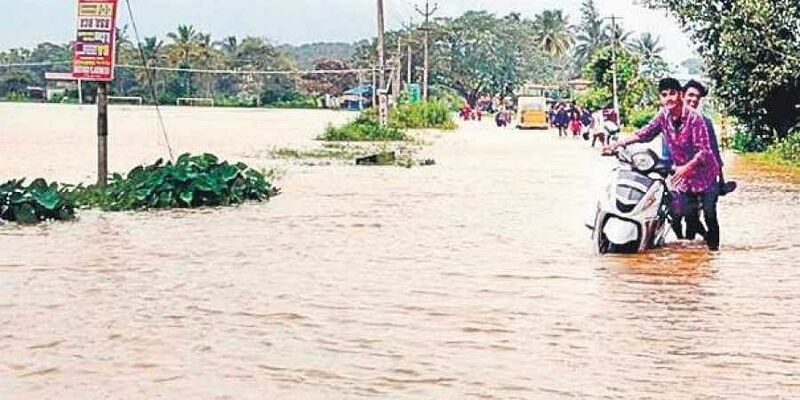 KOCHI: With the shutters of the Idamalayar dam scheduled to be opened Thursday, the district administration has issued a high alert to people living along the banks of the Periyar and its tributaries. “The people living on the banks of Periyar are asked to remain cautious. The district administration has already launched steps to rehabilitate those who need to be temporarily evacuated from the banks of Periyar due to safety concerns. But there is no need to panic,” according to a statement from the district administration. District Collector K Mohammed Y Safeerullah said from early morning on Thursday, people will be barred from foraying into the waters of the Periyar. A meeting of the State Disaster Management Authority was also convened ahead of the opening of the Idamalayar dam. The water level in the dam has gone up further due to the copious showers and the opening of the shutters has been advanced from 8 am. If the water level rises to 170 m on Thursday, one of the shutters will be opened and 82 cumecs water will be released. Though it will push up the water level in the Periyar, it will not result in the river bursting its banks since it is a limited release. However, when the shutters are fully opened, the water level in the Periyar is expected to push up the level to 1.5m from the existing 1m. The water will gush into Periyar within six hours after the shutters are opened. Since a red alert was sounded at the Idamalayar Dam and the water level going up due to the heavy rains in the Periyar’s upstream areas, the trial run scheduled for the reservoir when the water level reaches 2,398 ft will be rescheduled. The trial run will be held only after assessing the situation on a concurrent basis and it scheduled time will be announced later, the Disaster Management Authority said in a release.